Dispatched from and sold by JYDMIX. Sold by BeskooDirect and sent from Amazon Fulfillment. 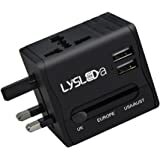 LYSLEDA 2 USB Ports (5V 2.1A) All In One USB Travel Adaptor from, Universal USB Plug Applicable in Over 150 Countries for User of Apple, iPod, iPad, Smartphone and Digital Cameras, etc. 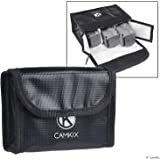 Compact design ideal for travel, office, home, school and anywhere. 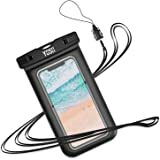 Optimized to charge ranging from mobile phones and tablets, to power banks, cameras, Bluetooth headphones, Speakers, MP4, laptops, etc. 1.This world travel adapter can't work with certain high power appliances such as hair dryers. Check your applicance label to see if it requires less than 8A. 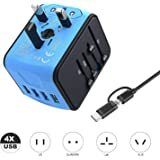 2.This travel power adapter can't convert voltage, to avoid damage to your device, please make sure the power outlet you want to use has the proper voltage to run your device before using this adapter. Each country has its own regulations regarding the use of travel adapters, please check in each country before use. 3.The power output of USB Type-C Port is 5V 3.0A Max only. If you need to charge Macbook, please use the original Macbook charger, and plug it into the Universal AC Socket when charging. Bahrain, Grenada, Hong Kong, Iraq, Ireland, Kenya, Macau, Malta,Malaysia, Nigeria, Nothern Ireland, Oman, Qatar, Saint Lucia, Saint Vincent, Saudi Arabia, Scotland, Singapore, Sri Lanka, Tanzania, Uganda, Wales, Yemen, Zimbabwe, etc. American Samoa, Argentina, Australia, Cook Islands, East Timor, Fiji, Guatemata, Kiribati, Nauru, New Zealand, Okonawa, etc. 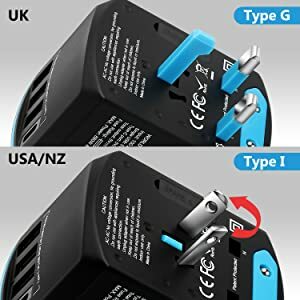 Press the square button and slide to the USA or AUS plug, if you want to get the AUS plug, please rotate the contact blades to AUS plug. 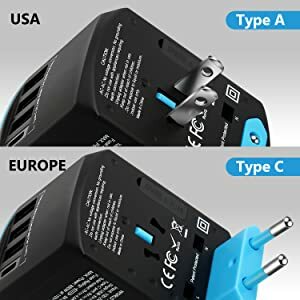 Can't be used in South Africa and India.The shape of plug is different ,need to buy a specific type if want to use in South Africa and India. 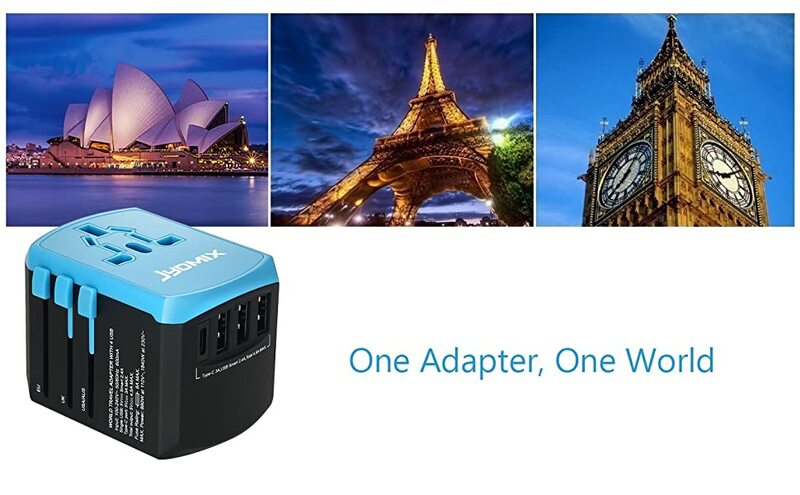 The universal international travel plug with smart chip can automatically charge 5 devices.Allow you to charge your phone,ipad,notebook,powerbank,camera,etc.LED lights on the power adapter can show the charging status. 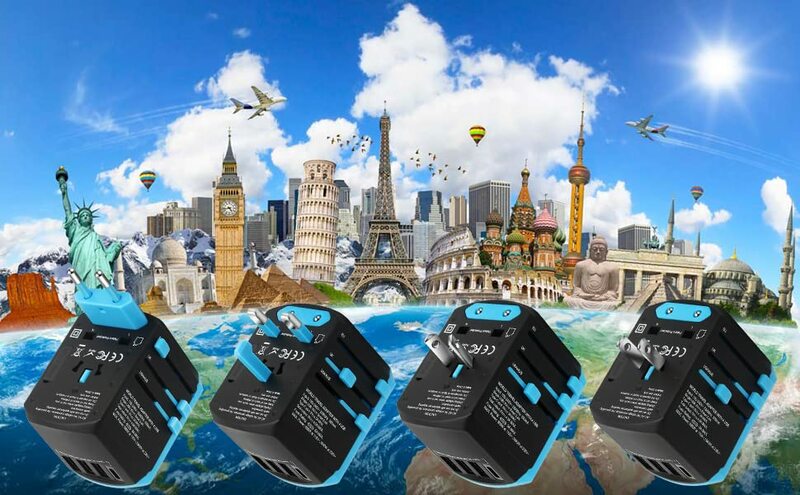 8A fuses to avoid damage to appliances in case of over-current and overload high-temperature,short-circuit.Our travel adapter is fuse replaceable,means you don't need to buy a new adapter if it blows,now we provide a additional fuse with the product when shipment. 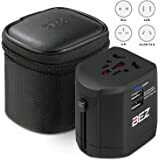 Portable power adapter with child-proof safety gate and plug lock to protect you and your children.When to use the travel charger,please press and hold the safe button,then push out plug at the same time. When to close,press and hold the safe button,then push back plug to its original position. 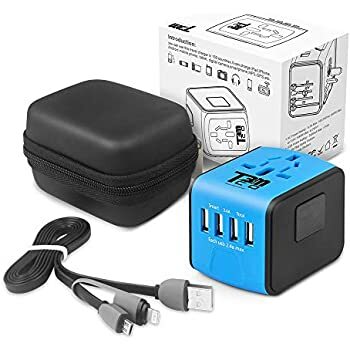 This is a neat little device that can convert from many plug types to many socket types, while simultaneously providing USB power. 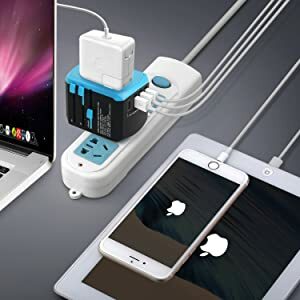 Perfect for plugging in a bulky laptop while simultaneously charging various phones, tablets and USB gadgets. I have verified using a USB power meter that the amount of USB power delivered is at least reasonable (1A+). Unfortunately I don't have the equipment to verify that it goes up to the rated 2.4A per port, but I have no reason to believe it doesn't. I can confirm the USB Type-C port is capable of fast charging; my Nexus 5X explicitly shows "charging rapidly" when plugged in to this charger. (Just make sure to use a good Type-C to Type-C cable.) The combination of Type-C, fast charging support and powerful ports means this little plug is actually an excellent USB charger, which is a pleasant surprise. The build quality is also quite good, and much better than a similar product I was using before this one. The plastic feels surprisingly sturdy, and it doesn't feel like it's about to break every time I handle it, unlike most of the competitors. There is a blue light on the plug. Contrary to the product I was using before, the light has a somewhat reasonable intensity level, such that I didn't feel the need to cover it up during the night. Good. The adapter is narrow enough that it will fit correctly on UK sockets without overlapping the flip switch that these sockets have. At least that's true for the modern UK sockets in my home. (It's a tight fit, though.) 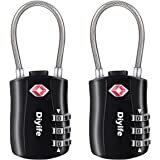 I saw reviews on other similar products that mentioned this problem, but in my experience this particular product is small enough not to be affected. Great! 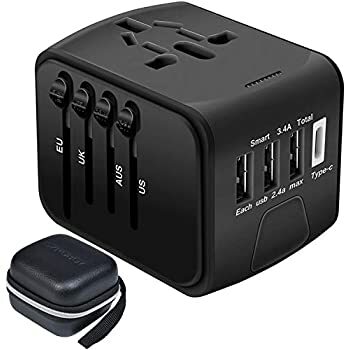 Now this would all be absolutely perfect… but unfortunately, I did hit one pretty significant snag: when I try to plug my laptop charger (French plug) into the adapter, it doesn't go all the way! (see attached picture) It technically still works in that setup, but the connection is obviously very flimsy, not to mention a bit scary from an electrical safety perspective. I had to use another small UK to FR converter (UK plugs don't have that problem) on top of it to make this work reliably. This is really a shame, as this product would have been absolutely perfect for me if it wasn't for this problem. Hence the missing star. Recently used to charge 3 phones (one via USB C socket) and a battery pack simultaneously. All worked nicely. This was in Austria. 2 pin plug to 2 pin socket works as it should too. The blue light is a bit bright in a dark room, but that would be nit picking. Will be testing in other regions of the world soon. Will endeavour to update review as and when. 5.0 out of 5 starsExcellent Universal Adapter. 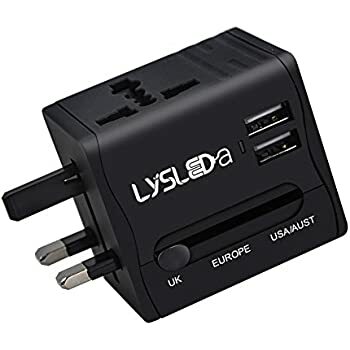 Upon mistakenly purchasing an item that had a European plug fitted, and subsequently rummaging through the stereotypical "stuff" draw for ten minutes trying to find an adapter that I was fairly confident I didn't have, I decided it was time for me to actually buy an adapter. Rather than buy a cheap and nasty one like you normally do in the airport when you realise you haven't packed one for your holiday, I decided to buy one that might last a bit longer. "Universal" is usually synonymous with "rubbish" in my mind but this one looked quite robust, so I thought I'd give it a try. Needless to say I'm glad I did, as this is far from rubbish! 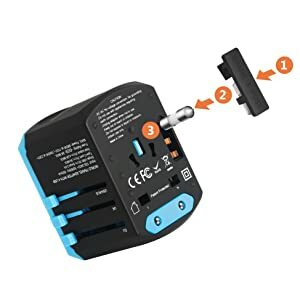 Nothing about this adapter feels cheap like they normally do, and has done everything they say it will. The euro plug fitted perfectly and didn't stick out at all like some people have said. 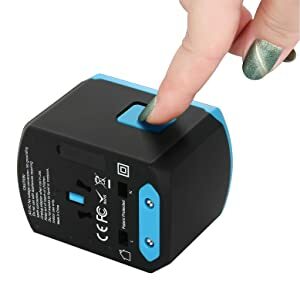 It's easy to use, as you simply slide the corisponding tab to the left to slide the prongs out, plug it in the socket, and then plug your appliance into the adapter and away you go. It really is that easy. 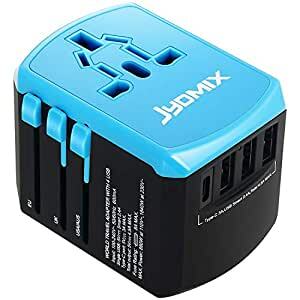 When you're done with the adapter, just press the blue button on the other side and slide the tab back across and it's back to being an easily stored little cube. 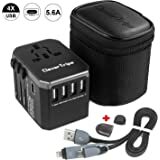 Not only that but it has 3 Usb sockets on the top and a Usb-C socket that also works as a fast charger if your device is capable. 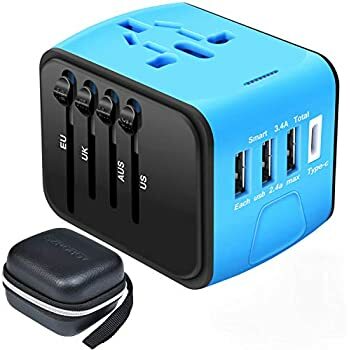 The Usb sockets have a combined amperage of 4.5 as well so you can charge multiple devices quickly at the same time... Great for a overnight stay in a hotel abroad or in the UK! And to top it all off, it's not too shabby looking either! All together, is a great little adapter that performs perfectly, and is easily worth the £18 or so I spent. Really useful product. I travel on business a lot, and this compact, well-made, adapter is ideal for my requirements. So far it seems very reliable, and the USB charging sockets are a very useful addition. 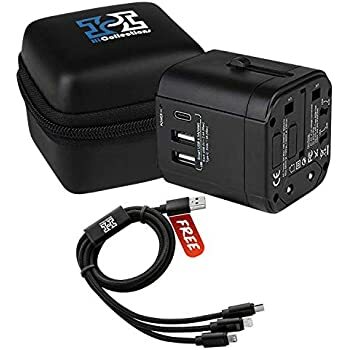 The only thing that it's missing for me is a Canadian 3-Pin (with ground) adapter option, but you can use the US 2-Pin Plug and it does cover most countries that I visit, so overall it has been really useful. 5.0 out of 5 starsBrilliant bit of kit. Actually really impressed with this. It's relatively small, robust and good quality. 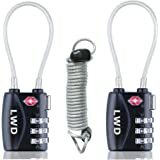 All the prongs are fully retractable so unlikely to get damaged in your baggage. 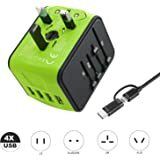 3 charge points on it for usb so I only need this one adapter rather than 3 to charge all our phones and the added bonus that I can still plug something else in to it aswell so I don't 'lose' a socket while using it.